What Data is Microsoft Taking from Windows 10 Users? There is a genuine concern for Windows 10 users who care for privacy to worry about privacy options in Windows 10. Read this article to know, what can be done to safeguard your privacy with Windows 10. Upgrading to a new OS can be exciting. New features and a more modern interface are appealing to most, but what about the changes to your privacy? With a new or upgraded OS comes a new set of terms and agreements. You might want to take advantage of some of the new features or upgrade so you can understand what all the hype is about but aren't too sure about what comes along with it in the fine print. It's common for users to skip through the privacy statements and user agreements, so it's not very surprising that we are hearing increasingly more about how Windows 10 is collecting your data. They aren't being secretive about what they collect at all, but reading through everything can take up a lot of time that many users just don't care to give up. If you've already installed Windows 10, you can easily access the privacy statement under your settings, but to sum it up for you, as well as provide some information for those who are still deciding on whether they should upgrade, let's take a look at what data Microsoft takes from Windows 10 users. There is a certain amount of information that you might expect to be collected. If you're a smartphone user, you know that a lot of apps usually need to have access to your microphone, camera, and location in order to work. Collecting information about your location might not seem like a big deal, but Windows 10 not only collects your location but also your location history. Luckily, you can clear the location history in the settings, and much of what you share can be disabled too. However, if you didn't know that, Windows 10 would be accessing a whole lot more than some would feel comfortable with. Some of the things they also access are your language list, account info (such as your name, picture, and other account information), contacts, and calendar. 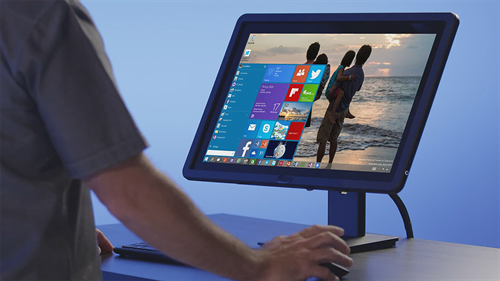 A handful of users first became interested in Windows 10 because of the new Cortana feature. Cortana is a personal assistant much like Apple's Siri, so of course, she can be quite handy. However, if you'd like to protect your privacy even a little bit, enabling Cortana is probably a bad idea. When Cortana is enabled, Windows 10 is able to familiarize itself with your voice and writing style, as well as your typing history. Microsoft claims they collect this information so that they can make better suggestions to you, but at the same time, the idea of your computer picking up on your speech and writing patterns feels a bit strange, doesn't it? You're basically allowing Microsoft to know what your voice sounds like, how you typically speak, how you tend to type (your handwriting in some cases too), and also what you are typing and when. Since Cortana is an A.I., she will learn about you as time goes on. She does this by collecting your data. Other than the pieces of information I already mentioned, she will collect your Bing search history, information about what you purchase and view on your device, data from your emails, how often you call, email or text your contacts, and more. If Cortana didn't make Windows 10 sound eerie enough, Windows 10 allows apps to read or send messages on your behalf. They can also control radios such as Bluetooth. The good news is that you do have the option to disable all of these settings, though it will affect your ability to take advantage of everything that Windows 10 has to offer. For example, some apps won't work correctly if you don't have certain settings enabled. As far as Cortana goes, there is a way to clear the information it picks up from you. Learn more about the Cortana. Because of this, upgrading to Windows 10 is really a choice that you'll have to weigh the pros and cons of. If you're more interested in protecting your privacy than being able to have access to the new features, stick with your old OS (Windows 7 is still a great OS overall). It's important to be aware that many companies are already picking up on your information, as well as sharing it with others (some even sell it). Sometimes you can get around this by using a VPN (Virtual Private Network), which encrypts your internet connection and hides your location. However, when it is your OS collecting the data, there's not much you can do. Read more about express VPN. With Windows 10, it's difficult to protect your data, but there are ways to disable many of the settings that allow Microsoft to collect it in the first place. Sure, you won't be able to enjoy Cortana, but there are other features that make Windows 10 both worthwhile and enjoyable. Using the internet always comes along with its risks, but it has much to offer. With a little effort, you should be able to keep your device secure (or at least as much as possible), though there is never a guarantee. There are other operating systems available if you decide that Windows 10 isn't the right one for you. However, I would recommend at least trying Windows 10 if you feel comfortable enough to do so because it does offer some useful features. You've really got nothing to lose by trying it. There's always the option of going back to your old OS if you prefer to by using a program called System GoBack Free. Don't forget to back up your files before you upgrade in any case. Refer readers to visit easeus.com . But, isn't encrypting your connection against the law? Governments expect the service providers to provide information about the users of a service whenow they suspect something wrong with a person. That could be one of the reasons why these services collect the user data. UK was heard of planning to ban WhatsApp there because of the security concerns about the messages being sent over it. Whether or not it's legal very much depends on your location. In a lot of countries it's not illegal at all.